=> it may look all sharpy and good but it's lame for the limited usable space. Fortunately, it's is my understanding that tools like QuickRes give you the possibility to fully use the 2560x1600 or other intermediate res. On Windows 8.1, they've introduced an optional 200% high dpi scaling of the desktop elements and apps. How does phpstorm behave with this ? I did not have yet the opportunity to test. Can anyone post screenshots of different setups (125%,150%, ... ) ? May Jetbrains comment on their apps scaling under windows ? We definetely support Retina displays on MacOSX and unfortunately I have no idea about quality of support for Windows with Retina like display. Thanks, I knew for Retina, and QuickRes will come in handy to regain some workspace, by cancelling it or having some intermediate resolution. I'll test that in a shop if they allow me to install both this tool and your IDE. Also, I guess I'll wait for some reviews of QHD laptop screens under Win8.1, before I decide. 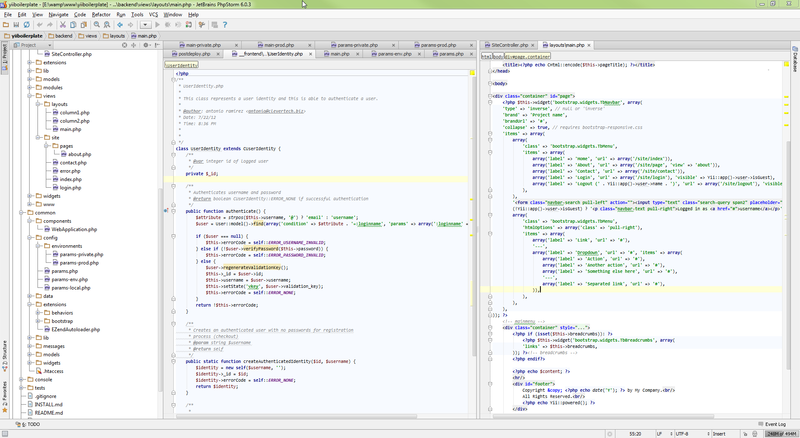 There is no point buying such laptops if PhpStorm or any other code editor are only usable on a second bigger screen.